Oh how we love the smell of new products in the morning. Un-boxing all of these products makes it seem like Christmas morning all over again. First on the block is a great new kit, the Seeeduino Stalker – Waterproof Solar Kit. This is one stalker you won’t mind having around! This kit is a self sustaining, waterproof project kit for all of your logging needs. 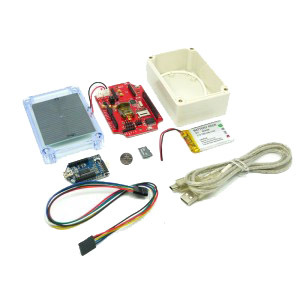 This kit will battle the elements to keep your project up and running, logging any kind of data you can think of. 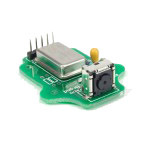 Just add in your favorite wireless -Bee series module and you’ll be logging and communicating in no time. Next we’ve got 2 great new joysticks just in. 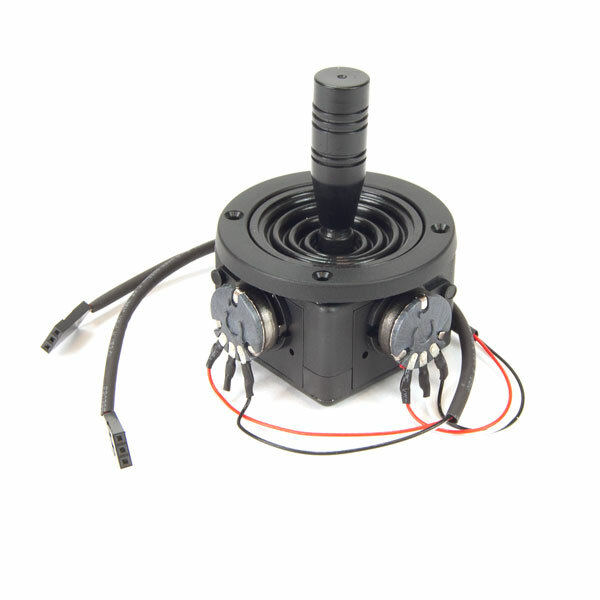 The Medium Robot Controller Joystick – 2D is a solid joystick with your normal 2 potentiometer setup. Solid controls and response make it great for any robot controller. 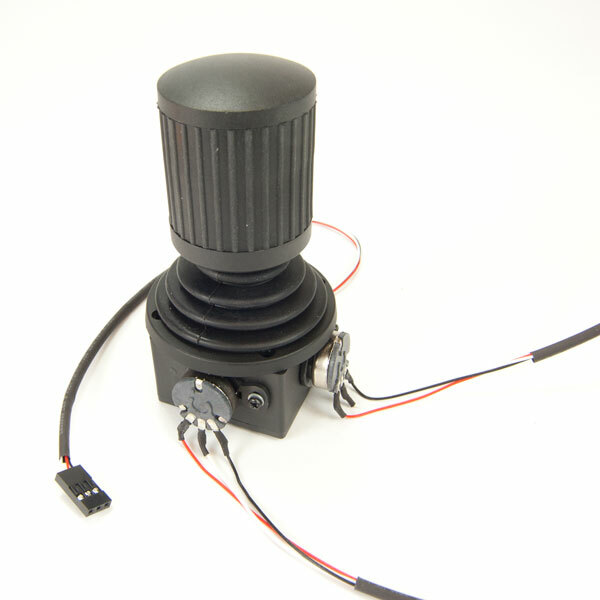 However if you need a little more control out of your controller, try the Medium Robot Controller Joystick -3D. This joystick has a third potentiometer hidden within it – just twist the joystick and you’ve got another degree of control. Use your extra control to turn your robots arms, it’s head and even other people’s heads! And as if that wasn’t enough, both joysticks come pre-wired. Each potentiometer has been lovingly soldered to a female 3 pin connector, and is ready to hook up to your project via pin-headers. We also have three new products in our “You don’t need to rip apart your perfectly good video game controllers to get cool parts” line. 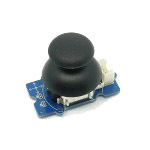 The Grove – Thumb Joystick gives you the potentiometer/push button combination found in Playstation 3 controllers, on a neat and tidy board with a grove compatible connector. 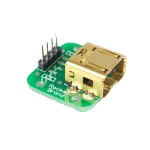 The NunChuck Breakout Board is a solid breakout board for your Wii NunChuck – no more needing to cut apart your NunChuck cables or worrying about loose connections. Third in line, is the incredible WiiCamera Board. 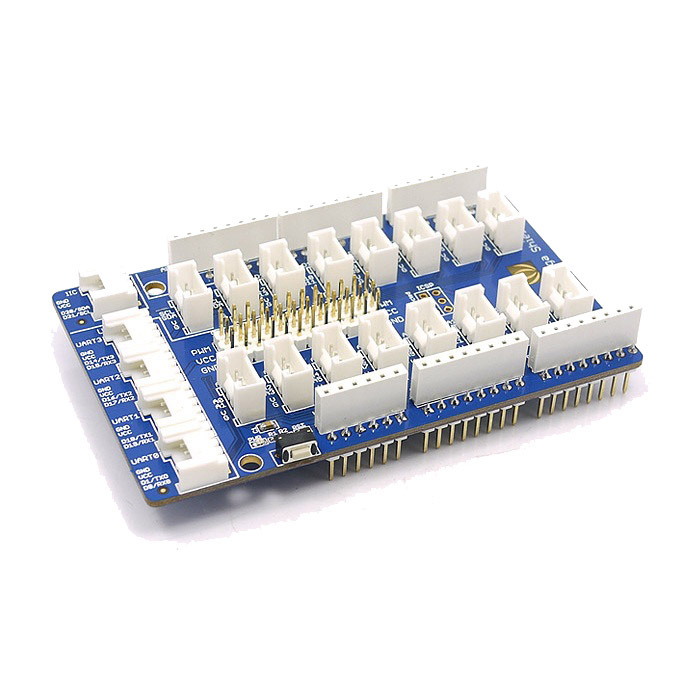 This board will allow your arduino project to easily interface with the onboard Wii Camera module. The camera senses up too four points of light, then returns the XY position of the light, as well as the light’s brightness. Two new contenders for ‘Arduino Shield of the Year have just arrived. 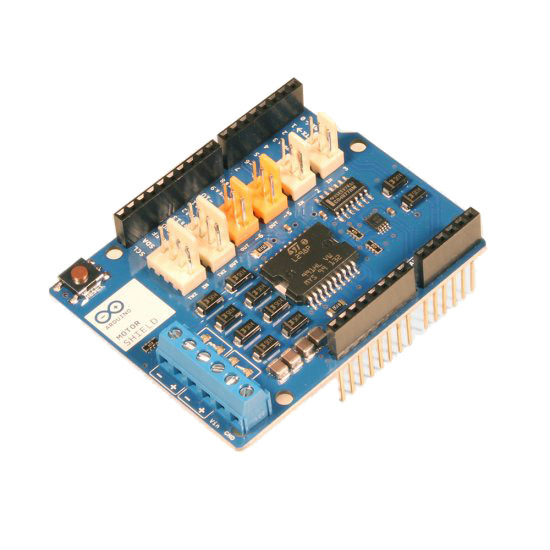 First is the Arduino Motor Shield Rev3 – the perfect shield for controlling motors from your arduino. This shield has two control channels that will run two separate DC motors, or combine to control on bipolar stepper motor. Second, we have the Grove – Mega Shield. This shield is designed for the Mega family and will get you up and running with the Google ADK. Well that’s all the products for now, but stay tuned for new products as well as video introductions to some of our favorite projects.